When Kate emailed me the link to the Airbnb they chose to get ready in I was *so* excited — what an amazing idea! 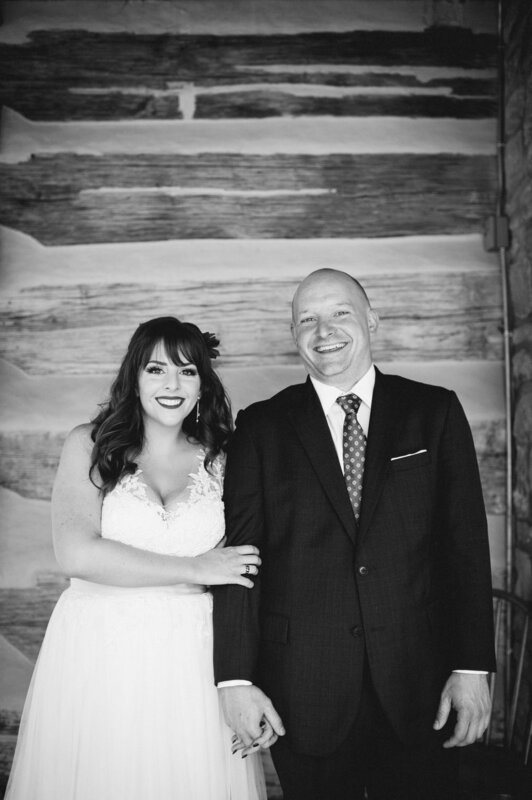 So often I see couples squished into hotel rooms or their parent's spare rooms, but Kate and her friends were able to spend the day enjoying the cozy cabin and amazing views as they got ready for the wedding. 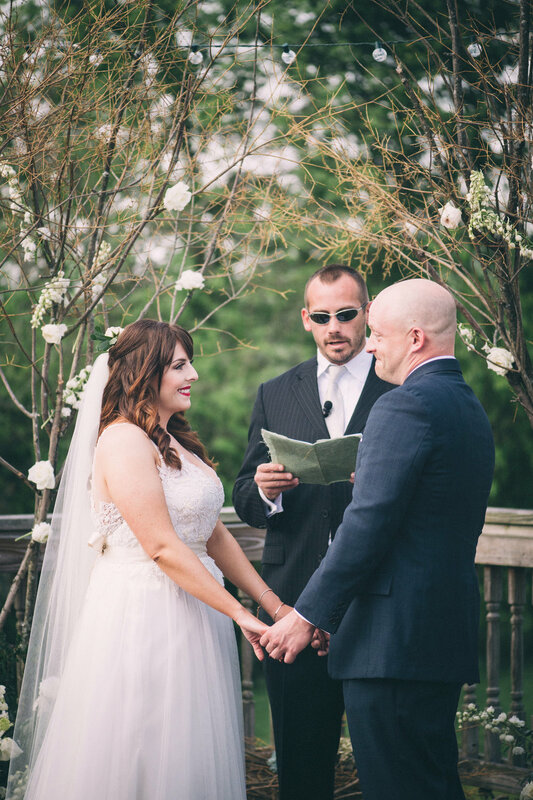 It was also the PERFECT place to do the first look and spend some time before heading over to Gingerwoods for the ceremony and reception. 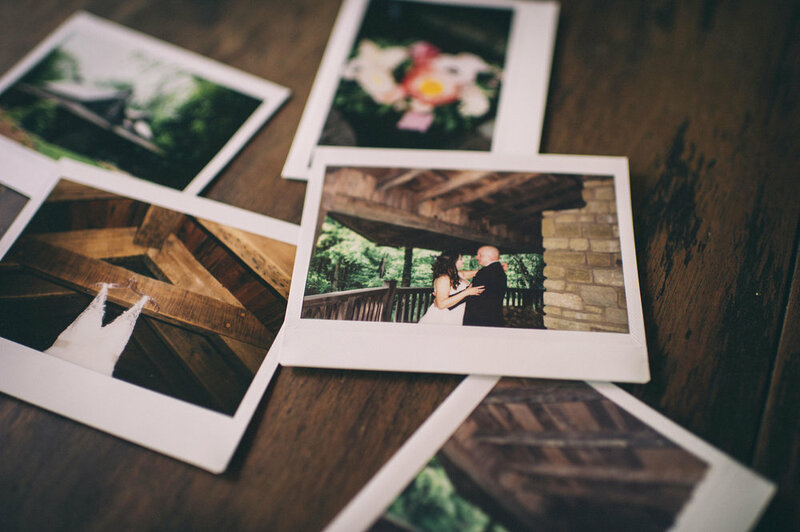 If you're looking for a way to make your wedding experience (and your photos!) more personal and unique you should seriously consider looking at your Airbnb or other local rental options! My favorite moment of the wedding day, hands down, was when Rob saw Kate for the first time. 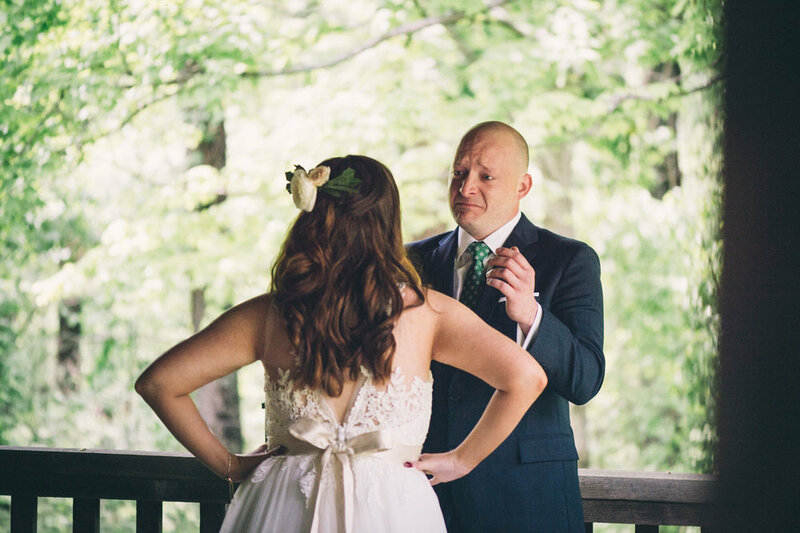 In ten years of shooting weddings, I don't think I've ever seen such an immediate and intense reaction from a groom. 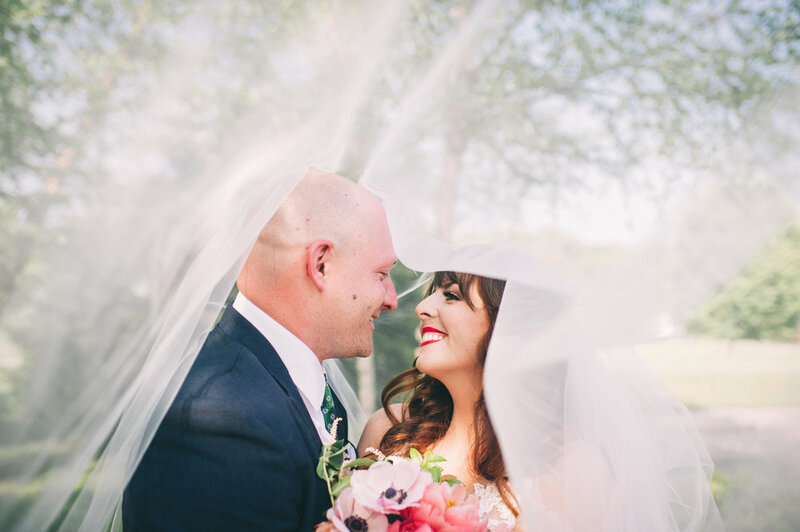 I already knew they had an amazing relationship and connection from the time I've been able to spend with them over the last year of planning, but it was really humbling to be part of this intimate, emotional moment. Another favorite part of the day was when Kate surprised Rob by walking down the aisle to "Across The Universe" played by a string quartet. 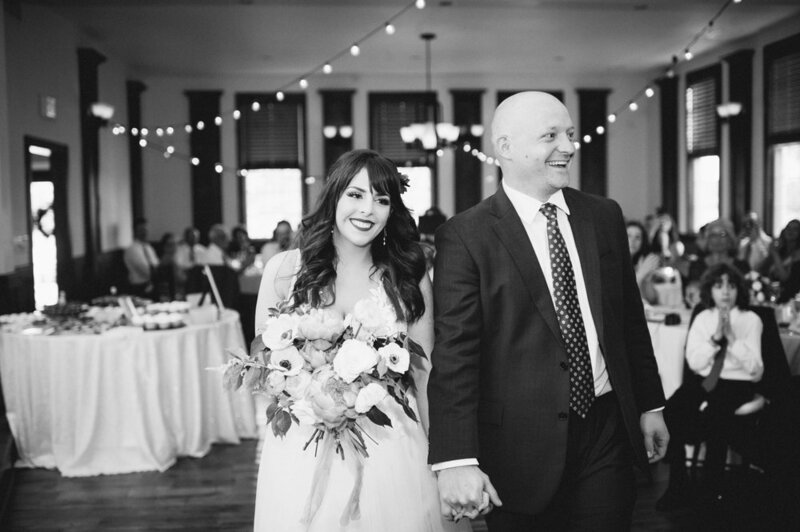 He's a huge Beatles fan and wasn't expecting it at all — it was such a sweet and magical entrance. 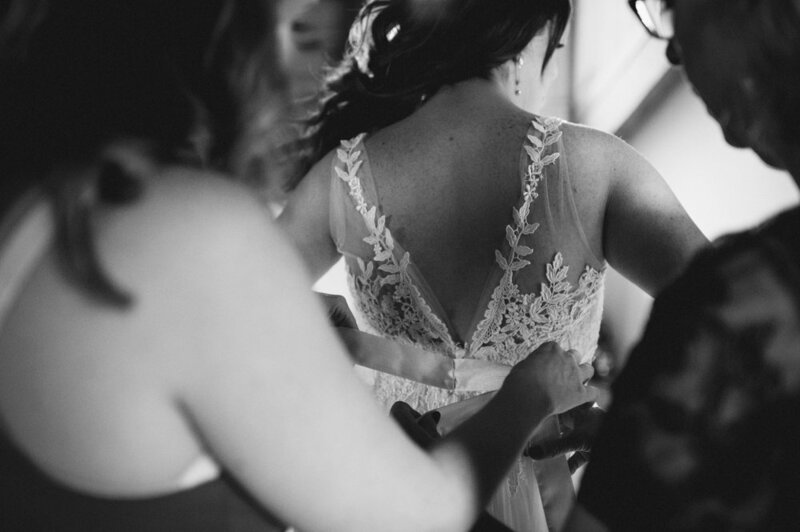 Keep an eye out for: Kate had pieces of her grandmother's wedding dress incorporated into her own dress — you can find them by looking for the slightly darker parts of lace. 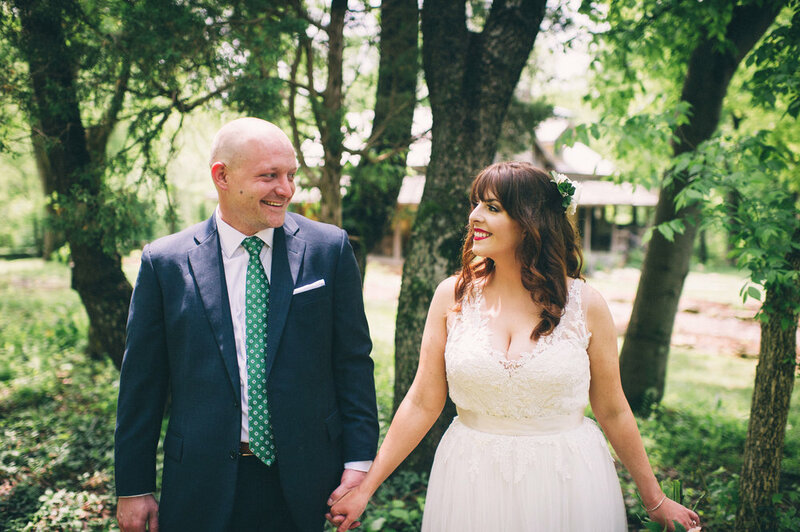 A few other weddings with emotional first looks include Rachel & Kyle at Copper & Kings, Katherine & Eric at Whitehall, and Erin & Chris at Yew Dell Botanical Gardens.